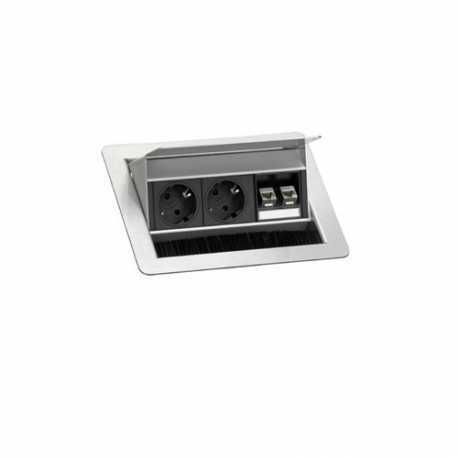 For worktops up to 50mm. 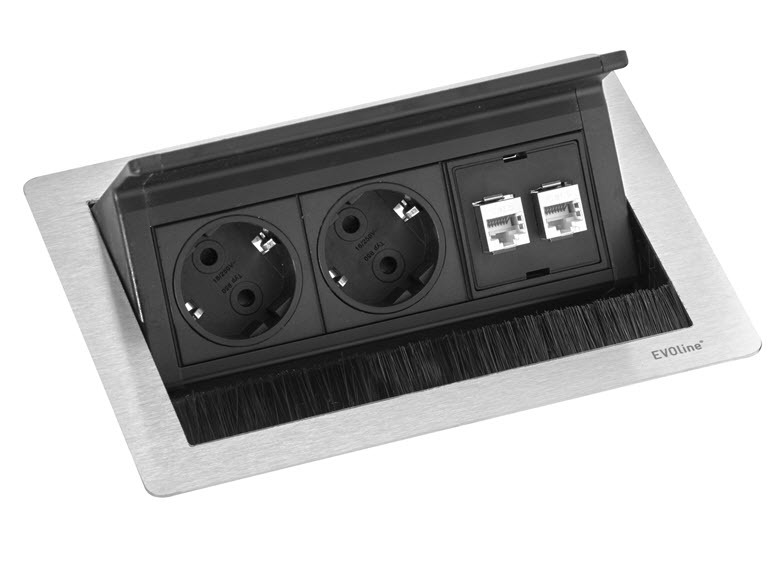 2x power sockets, VDE compatible, 60°, 16 A. Fixed power cable with plug. 2x RJ45 modular data connections CAT6 shielded. 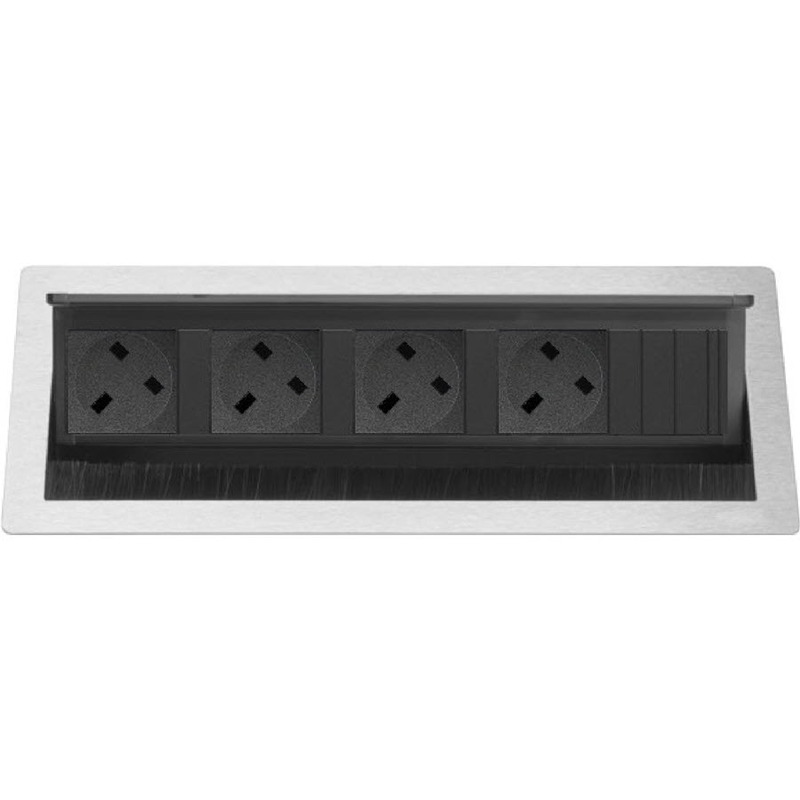 2x power socket, 2x RJ45, housing solid stainless steel. 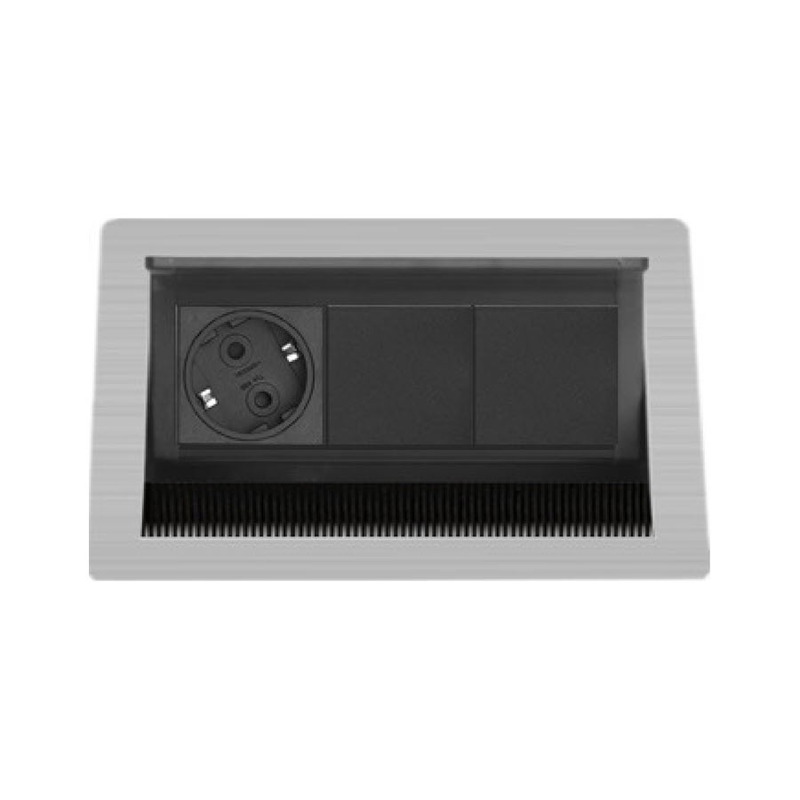 The EVOline Fliptop Data Small is an elegant solution supplying all work areas with power, data, and multimedia. This is a version from the initial EVOline Fliptop series, the previous generation. EVOline Fliptop Data Small from the initial series, end-of-life. Very usable to replace an existing unit with the exact same cutout dimensions.